Why do we go through these hard and apparently unnecessary times? 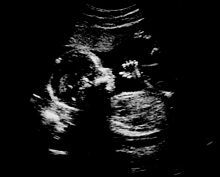 Certain chapters in this life seem so unnecessary — like nostrils on the pre-born. If we assume this world exists just for pre-grave happiness, these atrocities disqualify it from doing so! But, what if this earth is the womb? Might these challenges, severe as they may be, serve to prepare us and equip us for the world to come? We have small troubles for a while now, but they are helping us gain an eternal glory that is much greater than the troubles. (2 Corinthians 5:17 NCV). Eternal glory? I’d like a large cup of that, wouldn’t you? Everything in this life is preparing us for the next. From maxlucado.com, used by permission. Jesus' Hand Will Touch You, Too! "Unnecessary Chapters in Life?" by Max Lucado is licensed under a Creative Commons License. Heartlight encourages you to share this material with others in church bulletins, personal emails, and other non-commercial uses. Please see our Usage Guidelines for more information.